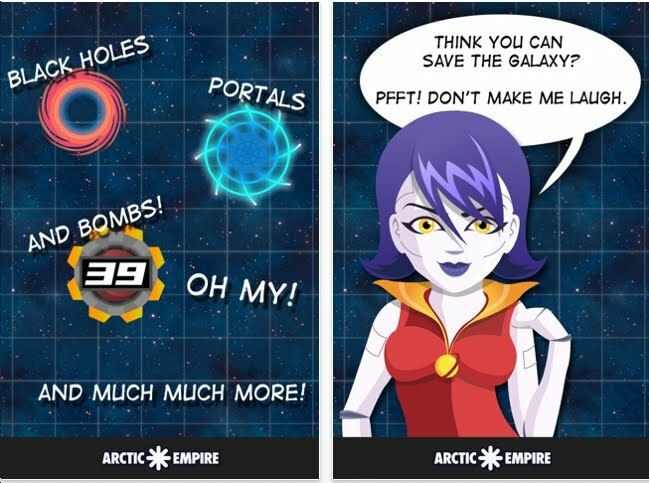 Eli Cymet is the PR Director for Arctic Empire and he described Galaxy Express to me thusly: Galaxy Express, is a comedy-action-space-puzzler. Naturally I'm curious about the puzzler part. Galaxy Express is a pure puzzle. Comedy-Action? After you solve a level, a short, juvenile dialog pops up. Cute, and appealing to teenage sci-fi nerds. Me, I'm a middle age nerd and skip to the puzzles. The object: get your ship to the planet. Look at the grid: your ship will keep traveling until it hits a wall or asteroid. It will then turn starboard (to the right). 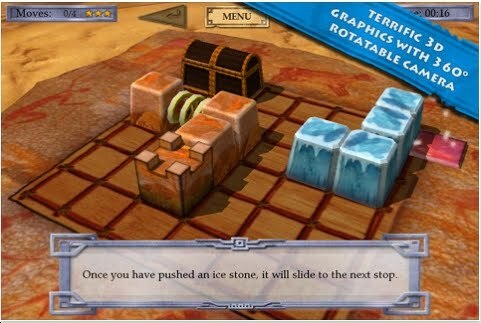 Each puzzle comes with directional arrows for you to place on the board anywhere to change the trajectory of the ship. Interesting elements: cannons that shoot at a constant rate; pirate ships that will turn port (to the left) when it hits a wall. Your ship will be destroyed if it collides with a pirate ship. There are 120 levels. Right now I'm on level 75. I've skipped about 10 of the levels. 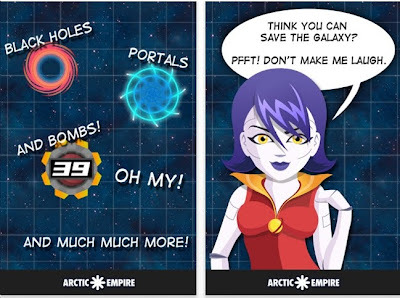 Other elements: getting multiple ships to multiple planets (or a single planet), black holes which destroy your ship, and wormholes which magically transport your ship to a new location. Galaxy Express is a fun, challenging, hard, great puzzle app. When you're done playing it, do try Witty Bump - another fabulous, under-appreciated puzzle app. Galaxy Express has a handy feature that allows the user to speed things up or slow things down. Witty Bump has 1 speed: super fast, which makes things hard. 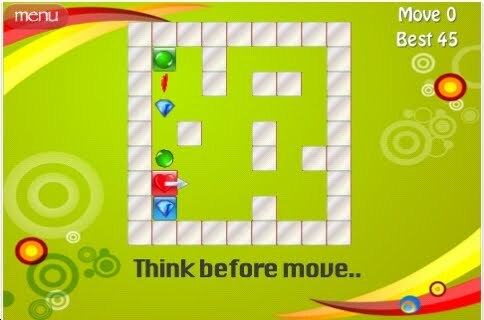 Cubilus is a tilt maze puzzle where the object is to get the moving pieces to all land on their targets. 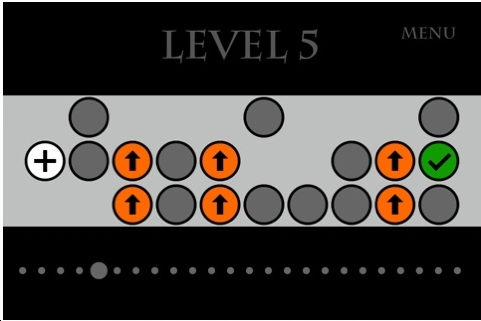 15 levels are free. The graphics are neat. The challenges are good. Users of Cubilus will certainly like Blockoban too. The folks at Blue Ox Technologies have created a great little word puzzle. Very similar to a crossword puzzle because of the clues. Tap on the 2 or 3 letter bites to form the correct answer. 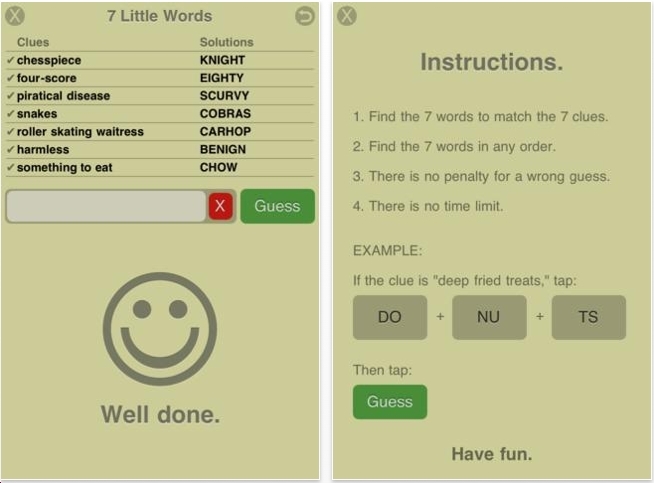 7 Little Words comes with 30 sample puzzles. I've already paid and downloaded 2 of the level packs for .99 each. 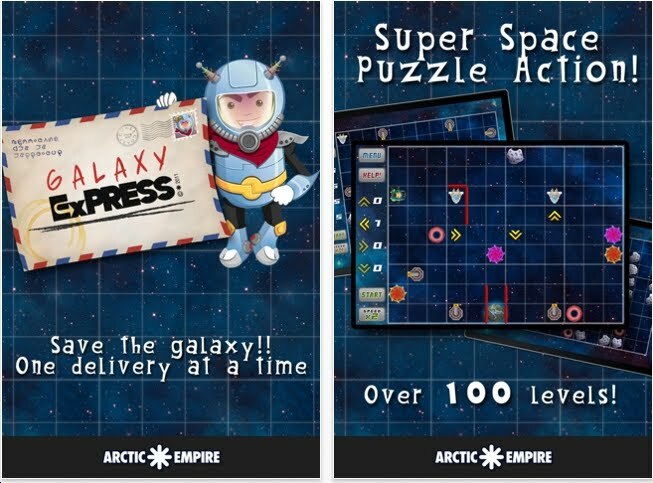 Each level pack comes with 50 puzzles. 7 Little Words is not what I normally play or review....but it's loads of fun and easily one of the best word puzzle apps around. Note: if you know of other word puzzle apps that are great, let me know. 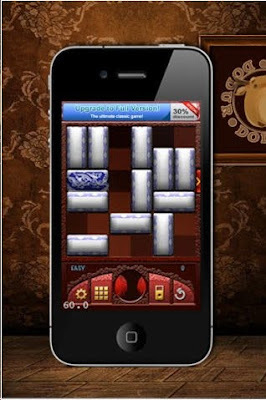 Ace Unblock is another puzzle super similar to the magnificent puzzle app known as Rush Hour. 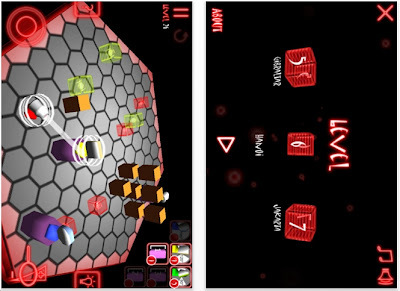 Ace Unblock was developed by Liying Liu. It has 4900 levels! We've seen laser puzzles before. Laser Logic has the usual mirrors etc. There are 35 puzzle levels. I have done the first 6. At the App Store, 24 people have rated the game altogether. 17 of them are 1 star. Mainly because the ads pop up in the middle of the screen and cannot be moved. I have never been a big fan of Edge-matching puzzles. However, this one has a certain charm about it and is perfect for beginners. Grid sizes start at 2x2 and go up. Look at the second image. The left column: for these puzzles, the pieces are in the correct location, but need to be rotated - super easy. The middle column: these pieces need to be moved to the correct spot. Right column: these pieces need to be moved and rotated. 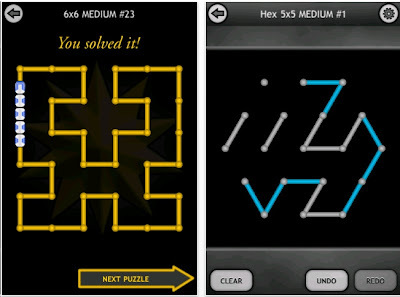 This a great puzzle app for kids who are developing spatial reasoning. It's fun! 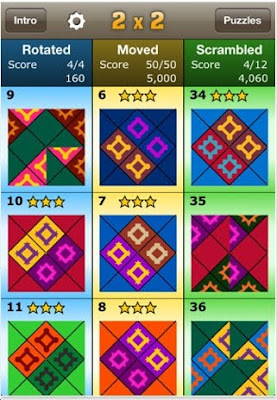 This web page is an incredible source for puzzle designs. Here's one that looks really easy to make. However it takes 7 moves to assemble. 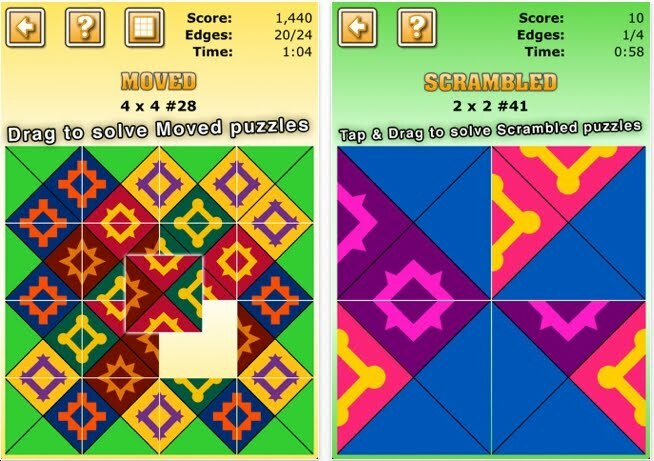 If you do not have a workshop and want to buy finished products of puzzle designs, click here. They have just about everything under the sun. 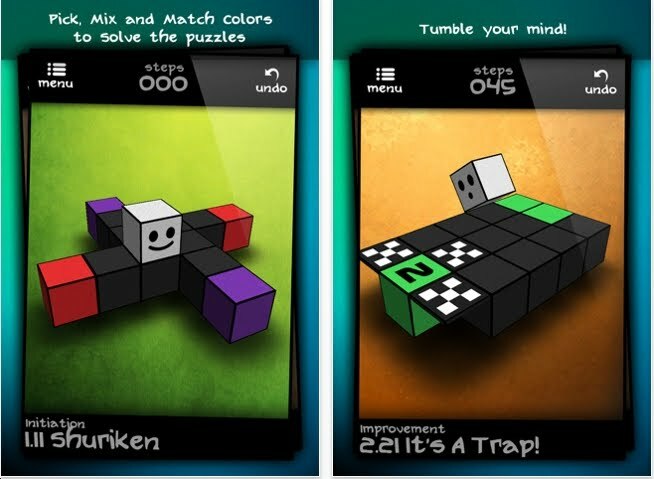 Deadlocked is a puzzle app from Arseniy Banayev. It's fabulous! The rules and objectives are not listed; the player will quickly discover them. There are only 24 levels, but, that's perfect for $.99 So far, I've played it for about 1.5 hours and am up to level 20. Though I did skip level 15. 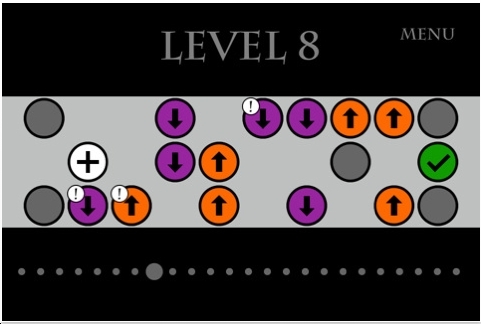 And I thought that level 12 was impossible. 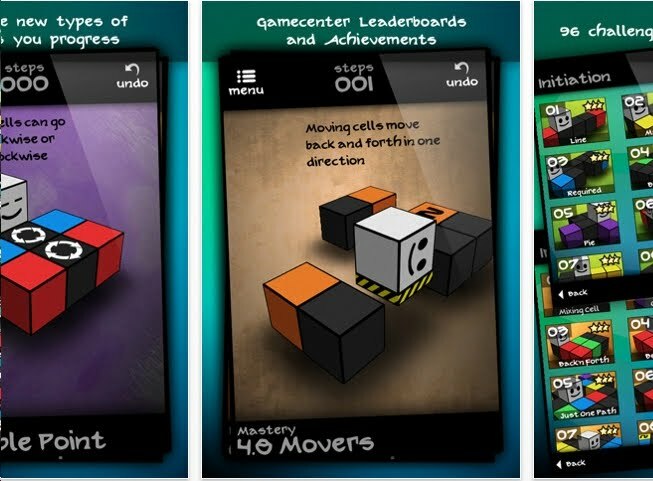 Deadlocked could best be described as a sequential movement/maze puzzle. Deadlocked could have been made even harder.....but that's not necessary. Blockado Desert is very similar to Rush Hour. 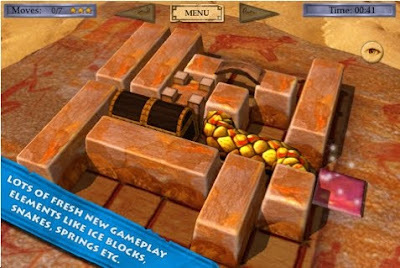 Like its brother app - Blockado Jungle - there are certain enhancements: ice blocks that slide all the way, spring blocks that expand when space becomes free, bridge blocks and blocks connected with a rope that acts like a snake. I have solved all of the levels. If you like Blockado Jungle, then is app is a must. 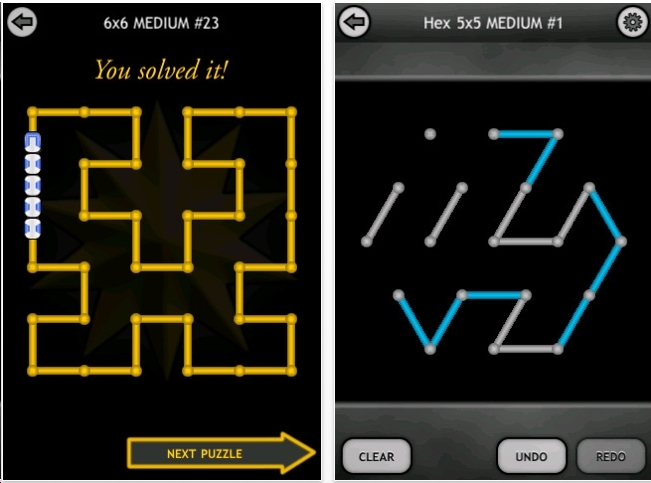 Also, if you want to create your own set of puzzles - you can do that, and then post them for other puzzlers to solve. Blockado Mountain is another version......but I have not sampled that yet. In the past, I have tried to like Rolling Block Mazes. But, honestly, they're not my favorite. However Qvoid is a winner! The object: pick up the blue onto your white cube. Then roll around to match it to another blue spot on the grid. You may have to pick up a red, then blue to match a purple. The graphics are phenomenal. Rotate the board at will. Fortunately, if you mistakenly roll your man off the grid, it forbids it and does not make you restart - unlike another rolling cube puzzle that is otherwise also pretty darn good. The 96 puzzles themselves range from easy, to very difficult. Lots of innovative elements: a wormhole, rotating squares and squares that act as boats to other grid islands. I have solved all 96 puzzles. There were 4 or 5 that I swore, were impossible. So, I give Qvoid a hearty 2 thumbs up. This is unquestionably one of the best puzzle apps of 2011. Puzzlers: I am taking a break for the next week. I know some of you will be devastated. Just so you know, a week from today I will post information about a fabulous puzzle app that one of you alerted me about. In the meantime keep a stiff upper lip and be brave! Keep the fan email coming. I do read them all and respond to each one. The good news is that Monorail has added more levels with hexagonal grids. 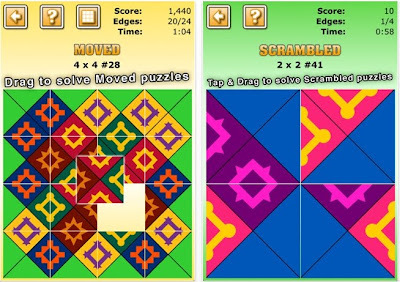 The bad news is that I had previously completed all 240 square grids before a small child - 2 years old - was playing with my ipod touch and casually tapped on the reset button - whiping out all that hard work/play.